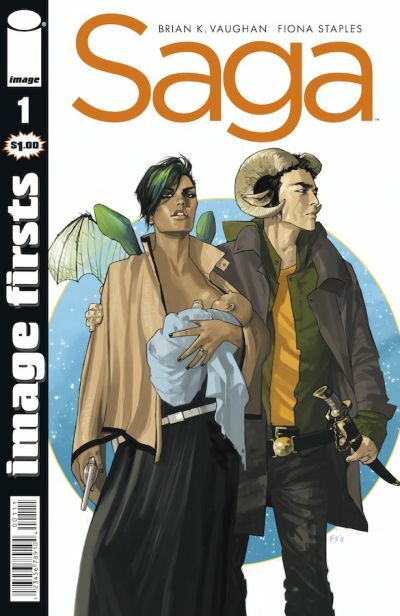 Image Comics has added five new titles to its “Image Firsts” line, printings of first issues of the independent publisher’s most popular titles that sell for only $1.00. 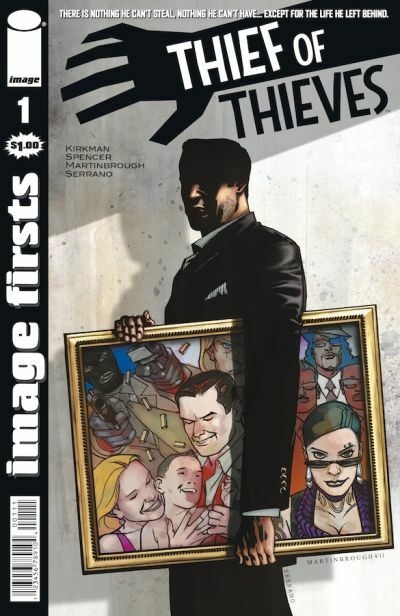 The Image Firsts editions of the phenomenally popular FATALE, SAGA, THE MANHATTAN PROJECTS, THIEF OF THIEVES, and REVIVAL will arrive in stores on December 12. In addition, new printings of the Image Firsts editions of THE WALKING DEAD and CHEW will be in stores on the same day. FATALE is the newest title in the fruitful collaboration between writer Ed Brubaker and artist Sean Phillips (Criminal, Incognito). 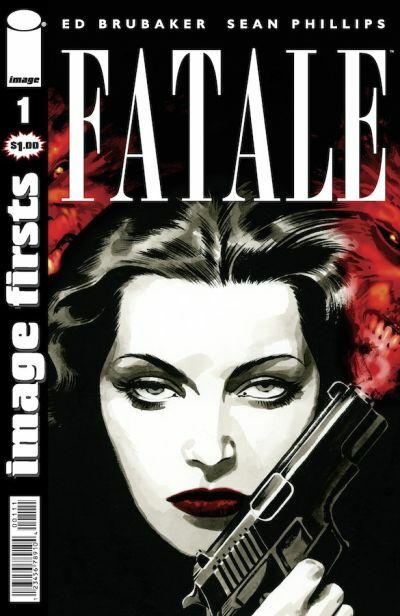 Colored by Dave Stewart, FATALE tells the story of Josephine, an immortall femme fatale who unwillingly entrances men and ensnares them in a deadly, decades-long battle with unfathomable evil. Melding noir and horror, FATALE is called an “addictive page-turner” in a starred review of its first collection, DEATH CHASES ME, in Publishers Weekly. 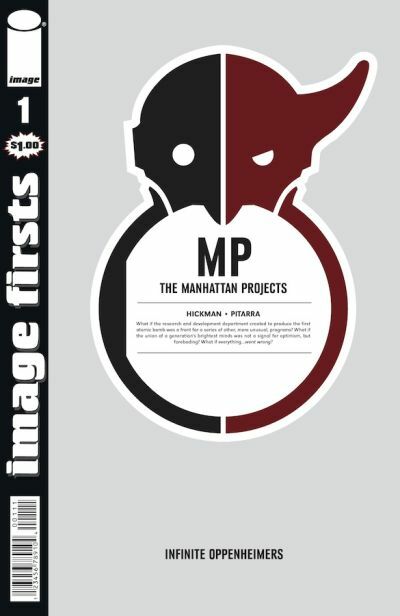 THE MANHATTAN PROJECTS by Jonathan Hickman (Fantastic Four, Avengers), Nick Pitarra (THE RED WING, also with Hickman), and Jordie Bellaire tackles Cold War-era science like no comic has before - imagining a history where the group of geniuses who brought us the atomic bomb also worked on secret occult experiments. Comics Alliance called the series “pure mad science in comic book form.” Its first trade paperback hit stores in September. REVIVAL is a completely new take on the undead genre that creators Tim Seeley (HACK/SLASH, WITCHBLADE) and Mike Norton (Battle Pug, IT GIRL AND THE ATOMICS) call “rural noir.” When, for one day, the dead rise in a small town in Wisconsin, it changes their quiet world forever. Officer Dana Cypress is tapped to investigate the phenomenon, only to discover it’s hit closer to home than she imagined. 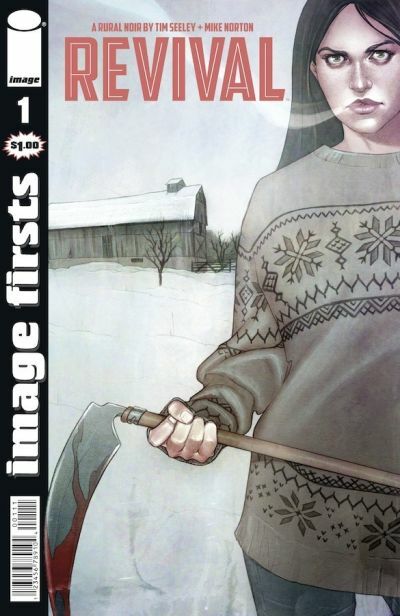 In a September article, FearNet writer Alison Nastasi wrote, “Revival peers at its readers from the underbelly of America’s heartland, embracing the moodiness and isolation of the rural landscape.” The collection of the first five issues, YOU’RE AMONG FRIENDS, will be in stores on December 12.